If there was a dime for every time someone used Google to find out about a particular HTML tag, they’d be super rich. This is not to say that HTML is a particularly difficult. Still, having all the important tags in just one place – HTML cheat sheet, could save you plenty of time. Having the right HTML cheat sheet with all the important attributes for lists, forms, text formatting, and document structure can turn out to be a true life-saver. 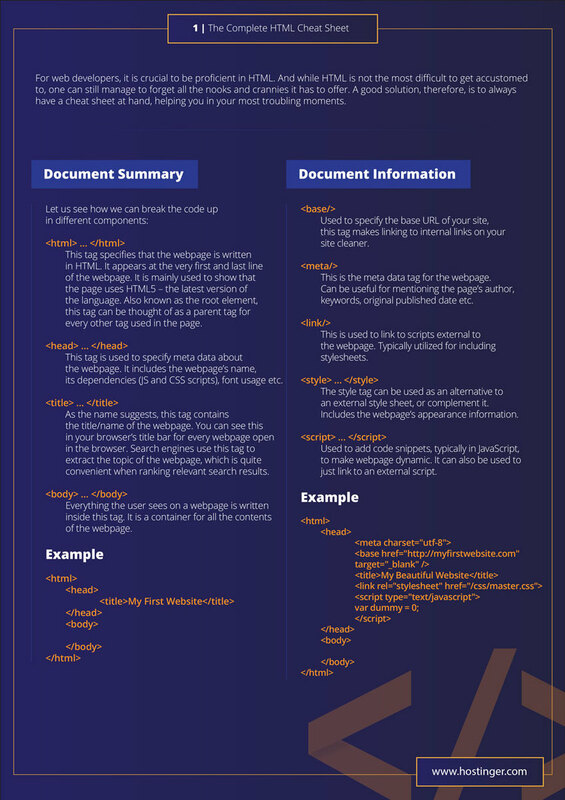 This particular cheat sheet will come handy for any web savvy the next time they sit down trying to structure the website right. 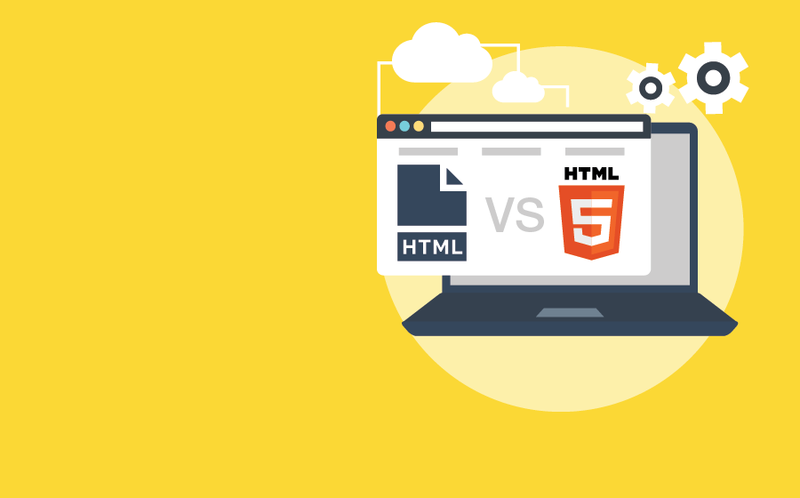 Consider this your go-to platform the next time you need help with the nooks and crannies of HTML or CSS. 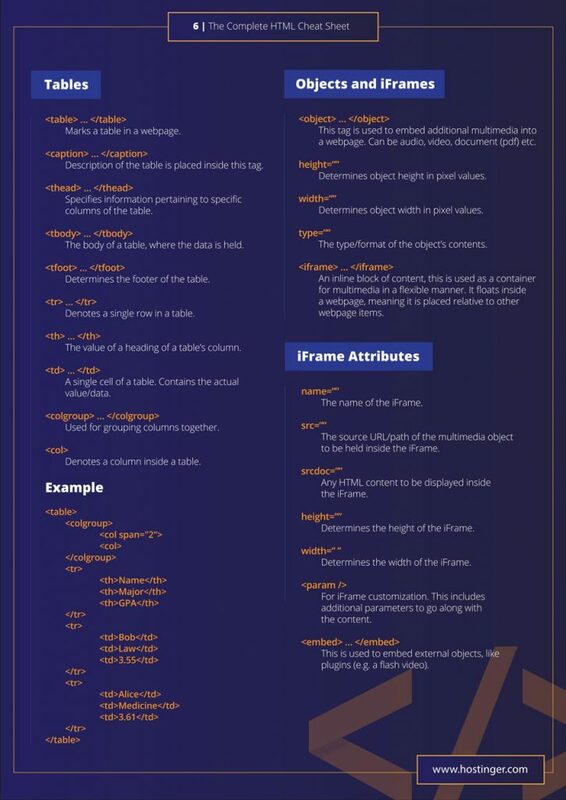 It’s important to use the correct code for HTML document structuring while creating a web page. 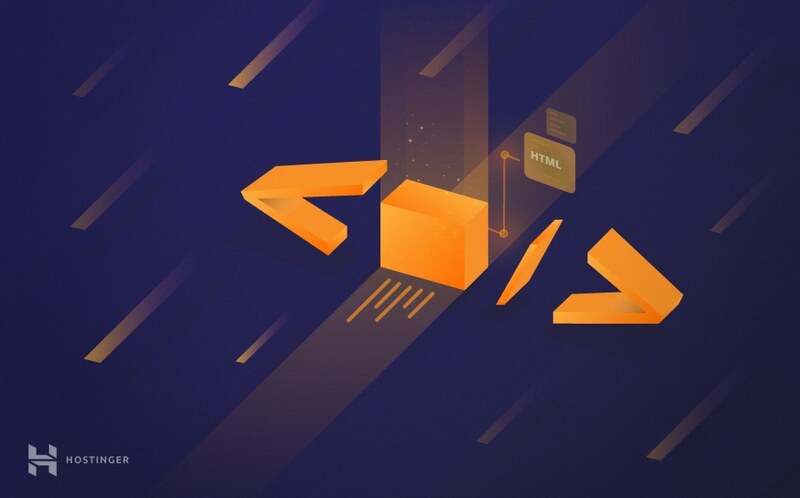 An incorrect structure can break the web page and even the search engines may not be able to read the information contained in it. The same way, right text formatting is crucial for presenting the information in a neat manner. 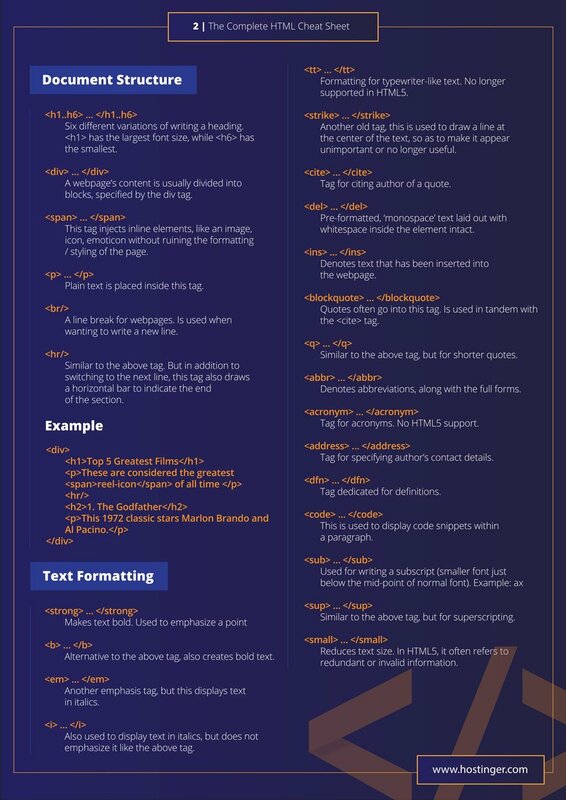 The cheat sheet below will help you use the right tags for structuring and text formatting. Perhaps you want to link the pages internally within a website or create a link leading to a clickable number/e-mail. Using the right tag is important to make sure the link leads to the right destination. The same way, sourcing an image from an outside destination or embedding one with the right alt tax is crucial for display the image right. 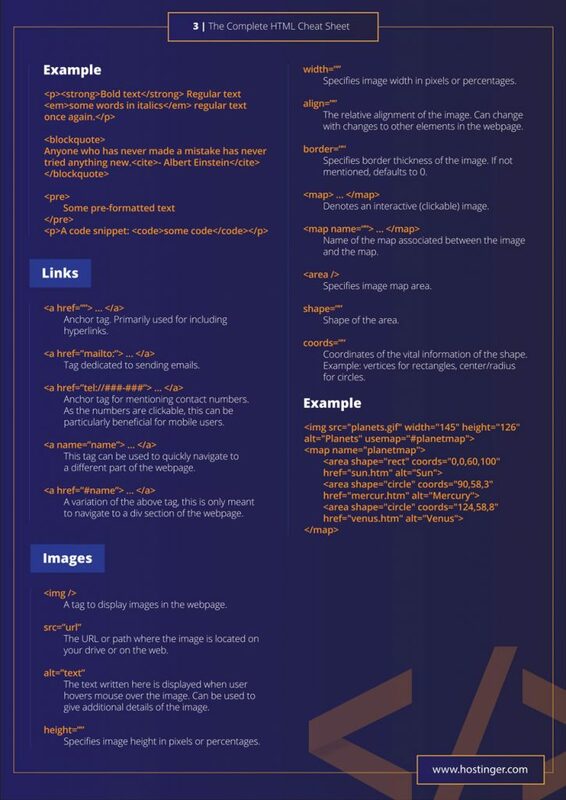 See the basic codes for HTML and images in the HTML cheat sheet below. It’s not uncommon to forget which tag to use for creating ordered/unordered list or which tags will accept user information and send it over to a particular destination. The same goes with codes for deciding the type of attributes. 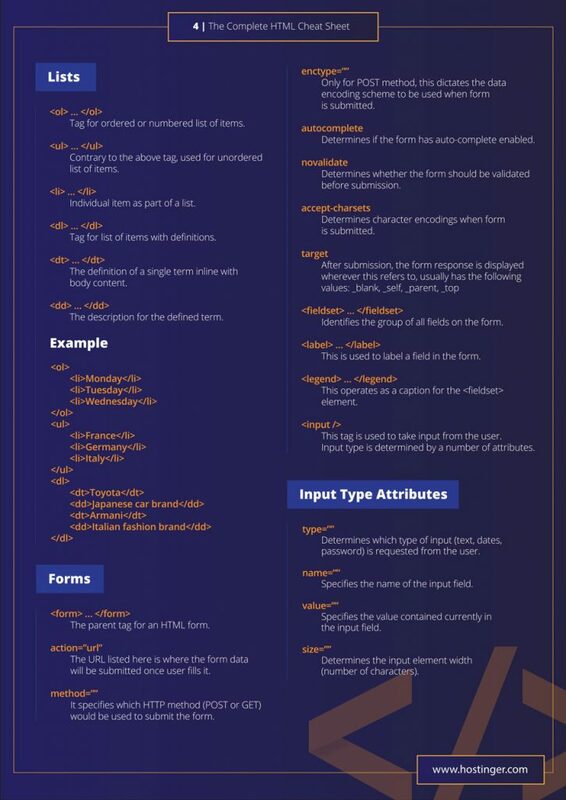 If you’re Mr. or Ms. Forgetful when it comes to these HTML tags, then this cheat sheet is for you. It’s hard not to get confused between so many tags for Tables, iFrame Attributes, and Objects to choose from. That’s why you should always have the following cheat sheet ready. 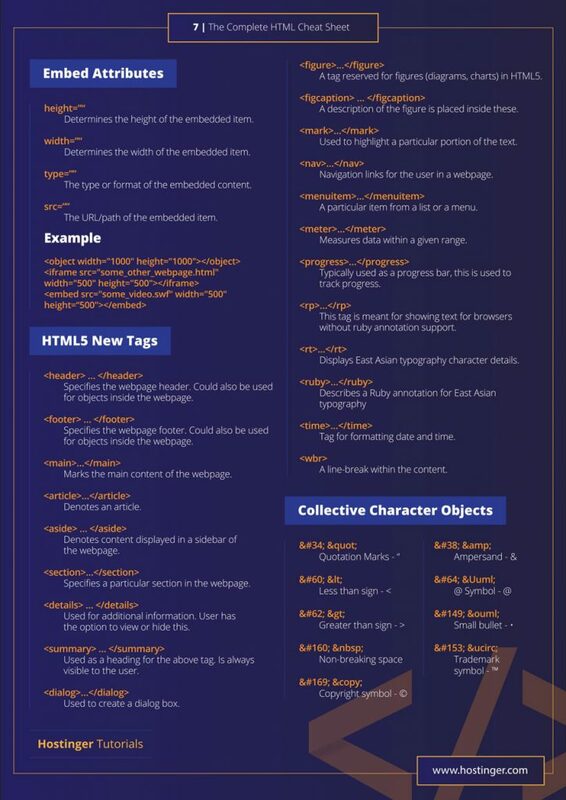 If you need all the basic tags ready for reference related to ‘embed attributes’, ‘HTML5 New Tags’, and ‘Collective Character Objects’, then the HTML cheat sheet below will help save your time. 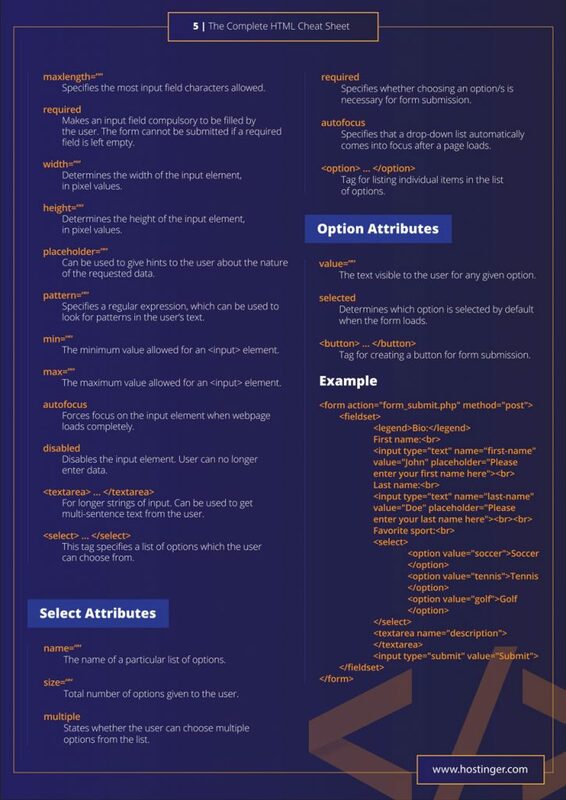 Thank you for sharing new HTML5 tags cheat sheet. I’m a web designer and it helps me lot. Today I have seen your affiliate program where you are providing 100% commission on the sale. I will definitely join your affiliate program. 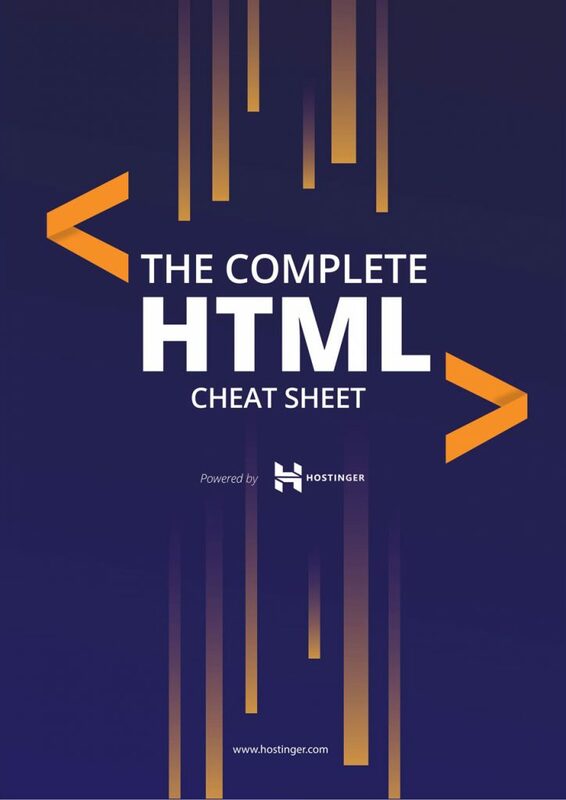 Impressive and incredible article, I start to learn the HTML and CSS but I saw your HTML cheat sheets. 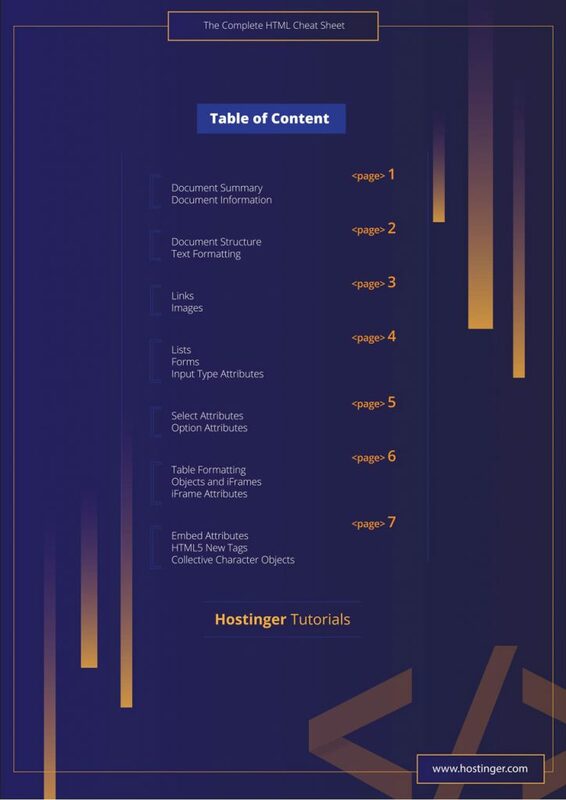 It is helpful for the understanding of HTML5 tags and after study about this sheet. HTML cheat sheet has contained much information about the new tags.